We don't mean to be BLunT, but there are so MINI easy ways to enjoy DWB Pancakes! 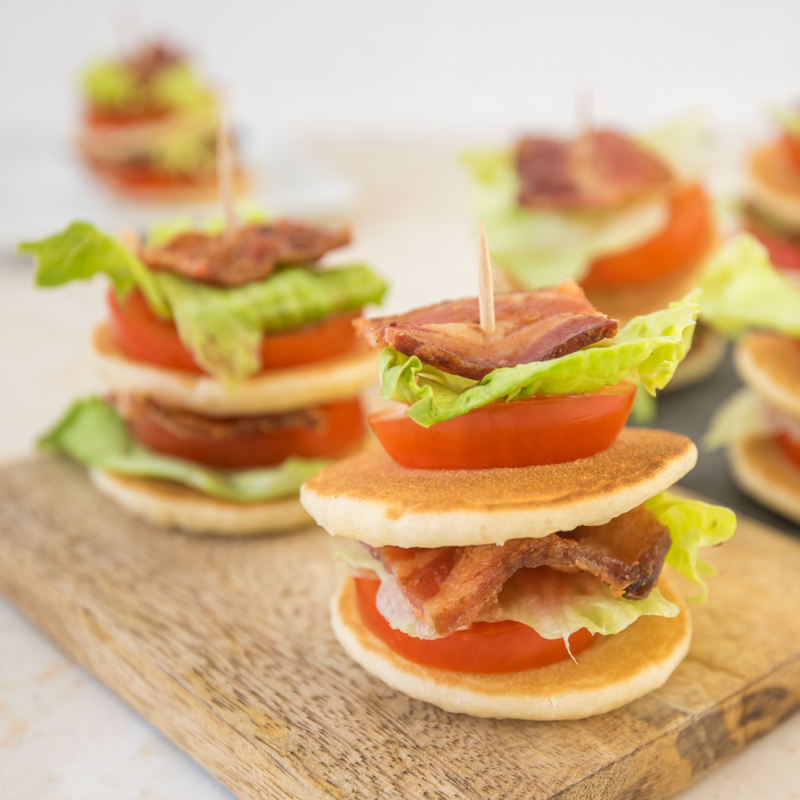 Once pancakes have cooled, using a toothpick, stack one Mini Buttermilk Pancake, one tomato slice, one piece of lettuce, and then one piece of bacon until you’ve filled the toothpick. Continue stacking until you have enough for everyone to enjoy!